Watch: President Trump says during special teleconference call with US soldiers that Saudi efforts in Middle East are critical for Israel. 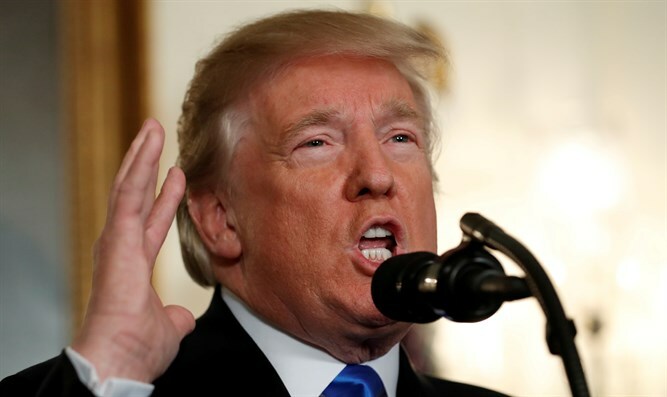 Saudi Arabia’s alliance with the United States is critical for not only the United States, but Israeli interests as well, President Donald Trump told journalists at a special press conference on Thursday. Following a special teleconference call from his Florida home in Mar-a-Lago Thursday morning with American service members stationed across the globe, President Trump spoke with reporters during a brief press conference. When questioned regarding the White House’s response to claims that the Saudi government, including Saudi Crown Prince Mohammad Bin Salman, had ordered the killing of Saudi journalist Jamal Khashoggi at the Saudi embassy in Turkey, Trump emphasized the importance of the US-Saudi relationship, while denying any clear link between the Saudi Crown Prince and the killing. President Trump also said the close relationship between the US and Saudi Arabia was critical to Israeli interests as well. This is not the first time President Trump has cited Israel while highlighting the importance of the US-Saudi relations. On Tuesday, the White House released a statement from the president in which Trump referenced the interests of both the US and Israel in connection to the Saudi regime.